For much of the United States, sunshine will be in short order this weekend as a winter storm batters the East. Rain isn't expected to hit South Florida until Sunday, however, so Saturday's Sunshine Millions card at Gulfstream should see a fast track and a firm turf with solid field sizes throughout the card. Mr. Jordan has won the Millions Classic preview for three consecutive seasons, and twice finished second in the Millions Classic. He looks to go one better this year, but faces a tough challenge from royally-bred Souper Tapit out of the Grade 1-winning mare Zo Impressive (Hard Spun). The wet weather is expected in New Orleans on Saturday, but a big card leading up to the G3 Lecomte Stakes should still offer plenty of betting opportunities. The Derby prep itself features a 12-horse field after the scratches of Mr. Money and Admire, with wide-open chances aplenty; the morning-line choice is Plus Que Parfait at 9-2. Another race with Triple Crown implications this weekend could be the seven-furlong Pasco Stakes at Tampa Bay Downs. No points are on offer, but the sophomore-restricted stakes could serve as a starting point on Tampa's “Road to the Kentucky Derby.” Top choice is Win Win Win for trainer Mike Trombetta, but the always-dangerous Todd Pletcher will send out Overdeliver under Feargal Lynch as the 4-1 third choice on the morning line. Also on Saturday, two-time Breeders' Cup winner Roy H will make his 2019 debut in the G2 Palos Verdes Stakes at Santa Anita Park. He won the race in 2018 and will look for the double as the 4-5 favorite on the morning line. 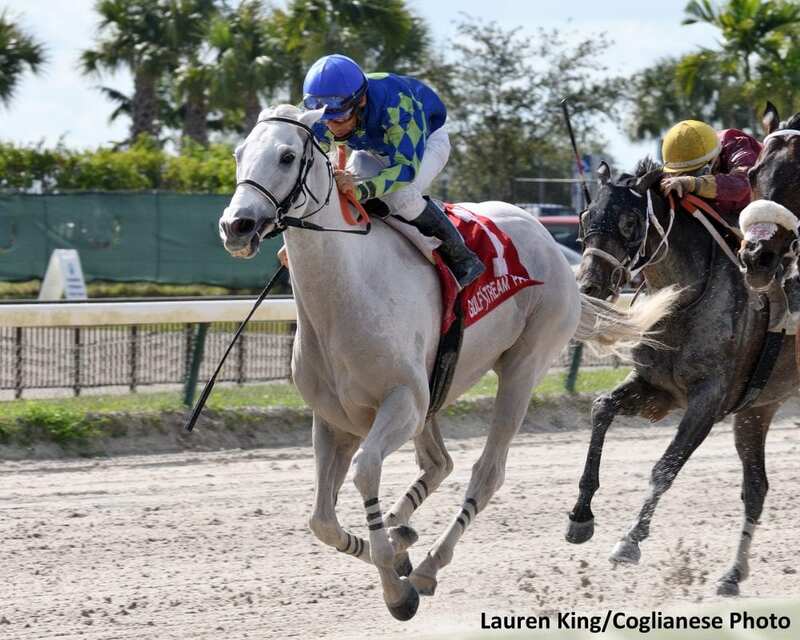 This entry was posted in Weekend Lineup and tagged gulfstream park, Lecomte Stakes, mr. jordan, pasco stakes, plus que parfait, road to the kentucky derby, roy h, santa anita park, souper tapit, sunshine millions, tampa bay downs by Paulick Report Staff. Bookmark the permalink.